Although it’s cold outside and you are probably thinking more of sitting in by the fire at the moment this is a great time to start your training for next year. Putting the miles in during the winter months will reap rewards come the start of the season and put you ahead of the competition. So what is base training? Firstly, if you like a little science and numbers with your training, ‘Base’ training is lower in intensity, tending to be somewhere between easy/steady and constantly working but sustainable. It is generally longer, normally in hours rather than minutes, than other types of training. The idea of this type of training is to make the time spent in the saddle more efficient thus meaning you can go for longer. The benefits of working at this intensity are the physiological changes that take place making you more efficient at using fuel, burning fat and ‘sparing’ your all-important limited muscle and liver glycogen (carbohydrate) stores. This is very important as your glycogen stores are very limited and even when fully topped up will only last between 30-90mins of intensive exercise. 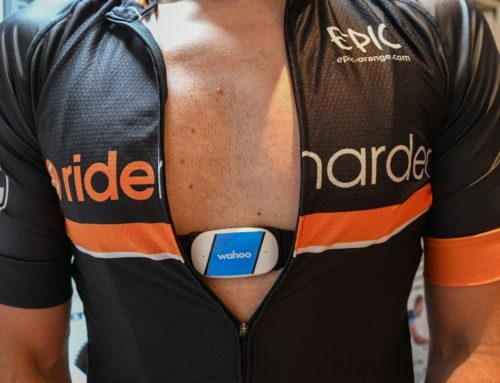 The most accurate way to measure this is with a power meter or heart rate monitor. It is roughly between 60-70% of your maximum heart rate or 55-75% of your functional threshold power (the power you can sustain for 1 hour). The higher end of the base training zone is around 85 – 95%? of your threshold figure or 70% of max HR so keeping below this figure is the challenge. How much time you spend towards the top or bottom of these zones may depend on a number of factors and open to debate but working above these levels should be significantly limited for most riders during the winter months. 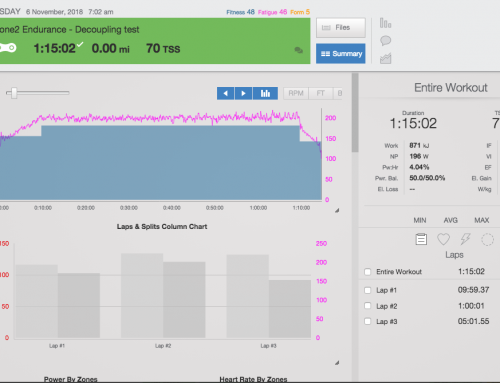 IF YOU DON”T LIKE SCIENCE AND NUMBERS READ HERE!…..
Don’t worry if you don’t have a heart rate monitor or power meter as this can be done on feel. Basically if you can sustain a conversation then you are training at the correct level. At no point should you feel overly stretched or stressed during the ride. Drop your gears down when riding up hills to spin the legs quickly and progress slightly slower than normal, therefore staying relaxed. The challenge of this ‘base work’ is that it requires a great deal of discipline to avoid the temptation of working harder than you should so no sprinting for town signs! 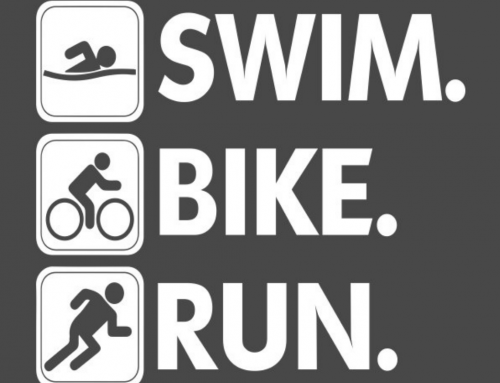 In the short term you will feel as though you are getting slower but be consistent and confident in your plan in order to reap the rewards when you start to introduce some harder efforts in early spring. 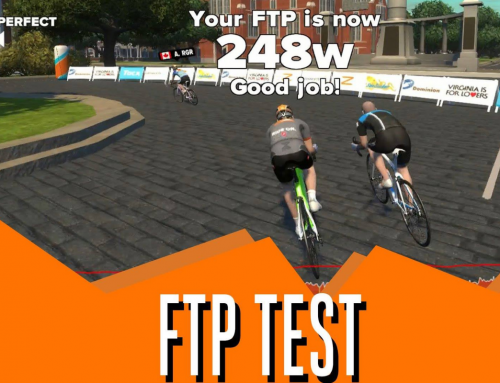 How to maximise your FTP test? 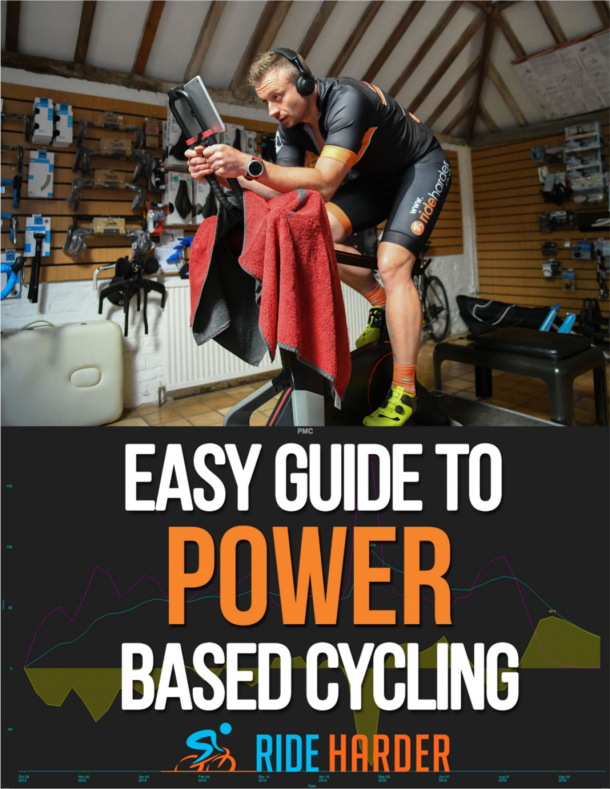 What to do when you first get a power meter?…..